You can also perform a more selective search for churches in the North Owersby area or see them printed on a map. The church was rebuilt in 1746 and partially restored in 1888. 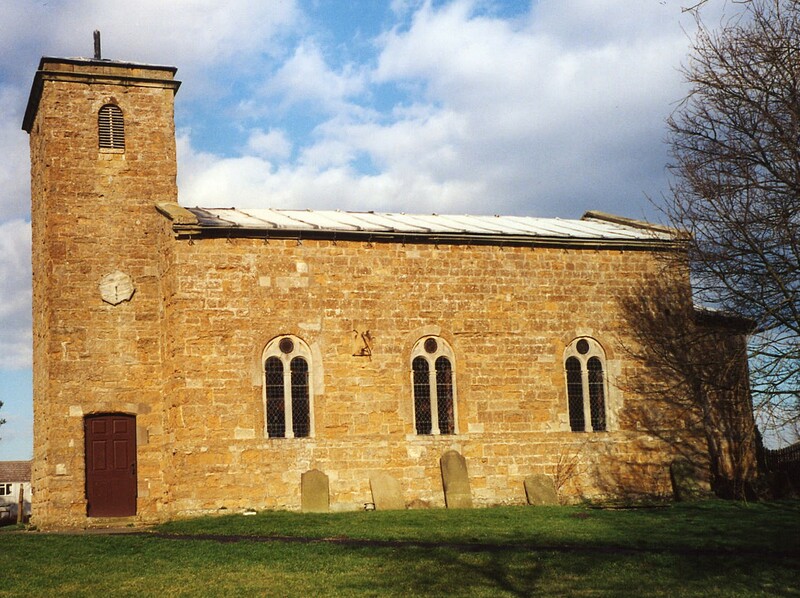 A photograph of St. Martin's church is at the Wendy Parkinson English Church Photographs site. The Anglican parish register dates from 1559. The Bishop's Transcripts of the register dates from 1562 through 1845. These are available on microfilm from the London Family History Centre. The Lincolnshire FHS has published several marriage indexes and a burial index for the Westwold Deanery to make your search easier. There is a booklet, apparently published in the 1920s, entitled "Many Thoughts from Many Minds," publisher unreported. Proceeds from the booklet were for Owersby Parish Church Restoration. Pat COOK provides these Lincolnshire names from the booklet. The Wesleyans had a chapel here, built in 1856, and the Free Methodists built their's in 1881. The Wesleyan chapel was rebuilt in 1908. For information and assistance in researching this chapel, see our non-conformist religions page. This village and parish are 6 miles northwest of Market Rasen. The parish covers over 3,400 acres. Ask for a calculation of the distance from North Owersby to another place. You can see the administrative areas in which North Owersby has been placed at times in the past. Select one to see a link to a map of that particular area. Old Hall was formerly the residence of a branch of the MONSON family. The Owersby War Memorial is within the Church of St. Martin on a carved wooden screen. It is documented at the Memorial-Lincs site. North Owersby is also called Long Owersby. This place was an ancient township in Lincolnshire and became a modern Civil Parish in December, 1866. The parish was in the north division of the ancient Walshcroft Wapentake in the West Lindsey district in the parts of Lindsey. Kelly's 1913 Directory of Lincolnshire places this parish, perhaps erroneously, in the East Lindsey division of the county. Parish boundaries have varied over the centuries, so check neighboring parishes for your family. In April, 1936, the Civil Parishes of North Owersby and South Owersby were abolished to create a new Civil Parish of "Owersby". In 1871, the lord of the manor provided £5 as an annual dole for the poor of the parish. After the passage of the Poor Law Amendment Act in 1834, this parish became part of the Caistor Poor Law Union. Bastardy cases would be heard on the 1st Tuesday each month at the Market Rasen petty session hearings. The Free School was founded by Alexander WRAWBY in 1705. In 1912, The Free School could hold 100 children, but average attendance was 80.